Vineyard Dog Park opened in 2009 with construction paid for by donations from dog owners and local businesses. The park is maintained by a dedicated group of volunteers. 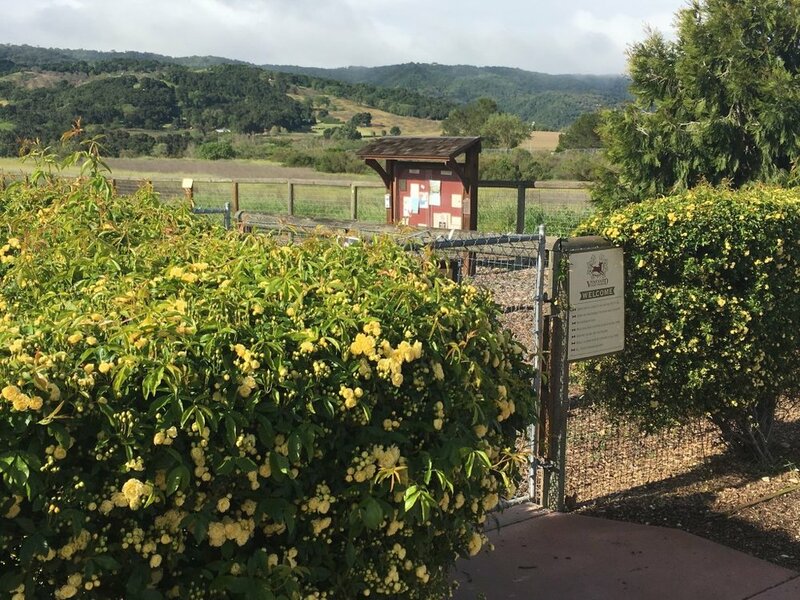 The fenced off-leash dog park is located on the west side of Templeton with beautiful views of the surrounding oak-studded hillsides. The park is about 1 acre in size and is cross-fenced for separate “big dog” and “small dog” play areas. Because our park is financed entirely by donations, we ask park visitors to pay a $1 day use fee or an annual membership of $25 per year. Membership fees received after October 1st will also receive tags for the following year. Our park is located at 1010 Semillon Lane in Templeton. Click here for information regarding our 2019 Mural Contest for Vineyard Dog Park.